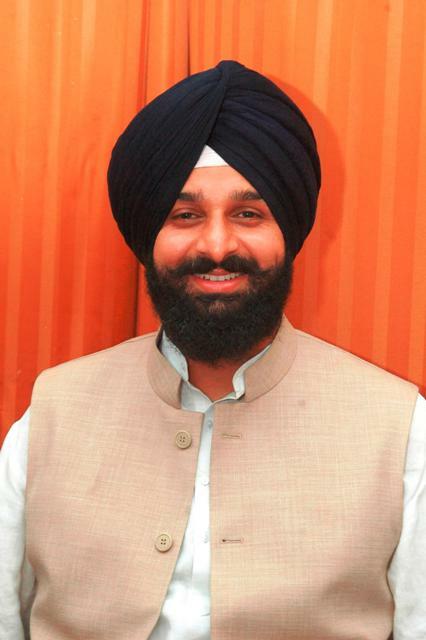 Punjab Youth Akali Dal (YAD) president Bikram Singh Majithia today “congratulated” Punjab Youth Congress president Vikramjit Chaudhary for “rising to the occasion” and registering a protest against the weak kneed foreign policy of the Congress led UPA government which had shamed the country by failing to protect its army personnel on its own sovereign territory. According to media reports, Vikramjit Chaudhary led a small group of 29 youth congress activists and stopped the Sada-e- Sarhad (Delhi – Lahore) bus bound from Delhi to Amritsar near the India Gate on the Amritsar-Attari road yesterday. The` protest` was reportedly conducted to raise a voice against the killing of five army personnel at Poonch by Pak army personnel besides demanding that the UPA government snap ties with Pakistan. In a statement here, Majithia said Chaudhary might have his own ostensible reasons to carry out `the protest` but the message which had gone out to the people was that Chaudhary was protesting against his own government. “What else can you infer when the Youth Congress president comes on the roads to demand his own government take action to protect the life and liberty of its army jawans who were ruthlessly killed in cold blood by Pak army intruders”, he said. Majithia said though the Youth Congress president had registered his `protest` against the weak kneed UPA government; he must follow up with more assertive action to wake the central government from its deep slumber. “I suggest Chaudhary should burn effigies of the top UPA leadership in all towns and cities of Punjab to shame it into taking assertive action to ensure such dastardly acts of aggression do not occur again at the border”, he added. Claiming that it was necessary for everyone including the youth congress chief to make the people aware of the paralysis which had affected the UPA government, Majithia said the people wanted answers including why the Indian army was being let down by the centre and why the country’s boundaries were not protected at all costs. He said there was a sense of fear among the people due to the weak and insipid UPA response to external aggression including that from Pakistan and even China.In his advice to the Youth Congress President, Majithia said it was not too late to make amends in the interest of the country. He said the bus passengers detained briefly by Chaudhary’s ‘protest’ had no say in decision making and that if Chaudhary really wanted to make a difference and ensure a course correction he should stop the cars of UPA chairperson Sonia Gandhi, Prime Minister Dr Manmohan Singh and Home minister Sushil Kumar Shinde. “If you do this people will applaud you for giving paramount importance to the interests of the country”, he said adding otherwise the people would understand his acts for what they were – pure political gimmickry to get his photograph in print.